If your team members have their work email IDs ending with different domain names (ex: john@abc.com, charles@abc.net, etc. ), you still can add them to your organisation's TeamWave account. All you need to do is link the domain(s) to your organisation's TeamWave account. 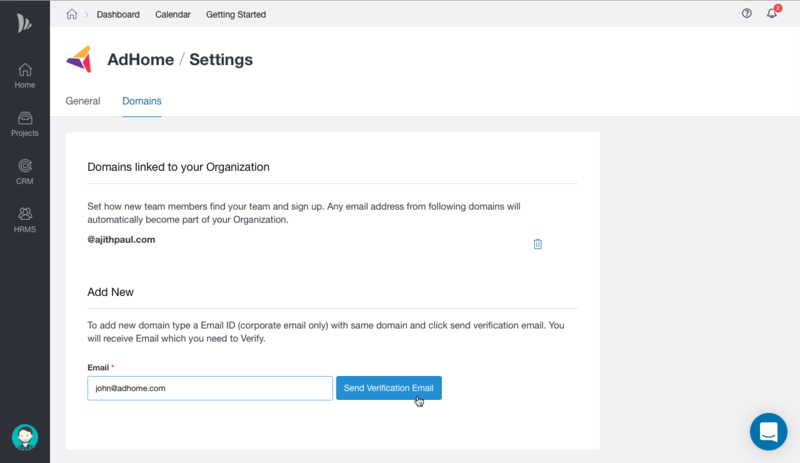 This will ensure that every time a new user (with the linked domain) signs up, he will be added to your organisation account and avoid a new organisation account creation with that domain. From verification link sent to the Email, you need to login to the Account Owner's TeamWave account to verify that domain. Or you can open the verification link in the browser where the Account owner's TeamWave account is already logged in. Once the verification is done, the domain will be linked to your TeamWave account. You need to be the account owner to add and manage domains linked to your account. 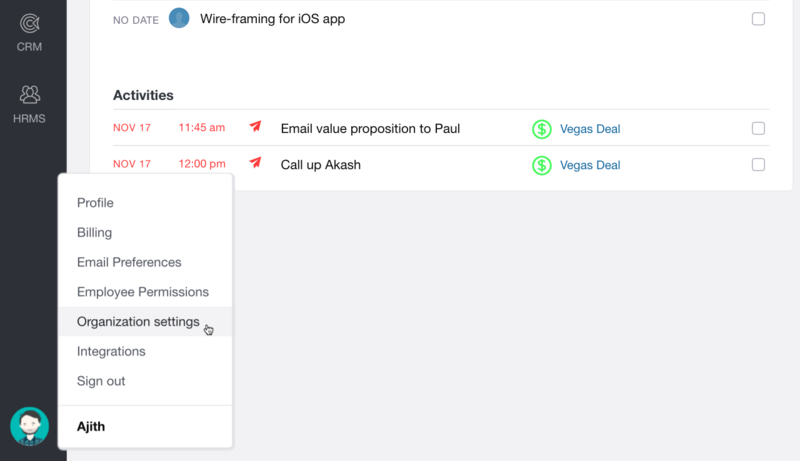 Also, see how to manage Organisation details.